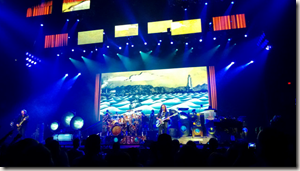 Clockwork Angels tour 2012: "All the highlights of that headlong flight"
I've been following a lot of Rush tours over the years -- both as a concert-goer and, for the past 8 years, on this blog. 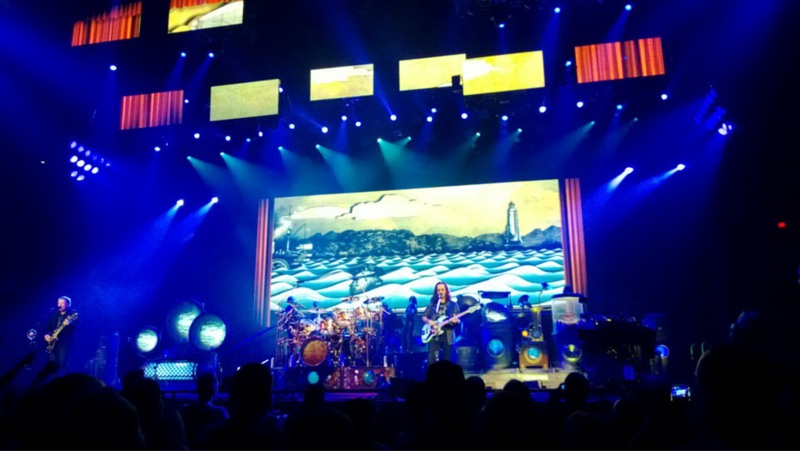 The Clockwork Angels show was definitely Rush's most elaborate spectacle to date. So much happened during this tour, I thought this was a good time to look back at the highlights (some of them for Rush, and some for me). Enjoy. A small orchestra joining the band onstage as they played through much of Clockwork Angels and a few other songs. Neil Peart firing T-shirts from a cannon! Neil Peart interviewed as part of New York Times article about drumming and fitness. Sep 11 - Neil Peart cover story in DRUM! 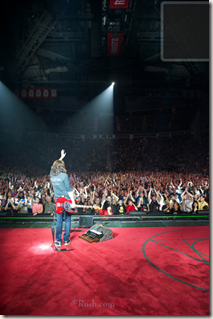 While Neil celebrated this major milestone on the road, there was also a virtual party in the Twitterverse with Rush fans, friends, and colleagues wishing the Professor many happy returns. I was actually pretty stunned by this one. I never thought they'd get nominated (let alone get inducted). 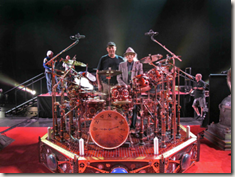 Oct 11 - Tour Update #1 from NEP: "The Better Angels"
Neil Peart meets Don George, his first drum teacher, for the first time in over 45 years. Nov 13 - Seattle show! Nov 17 - Tour Update #2 from NEP: "Witness to the Fall"
If you haven't been to Gump's new site yet, I think you'll want to check out some of these amazing behind-the-scenes videos! This was my second and final show on the CA tour. Rush was on fire!